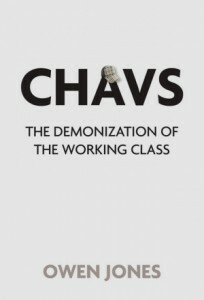 Ceasefire's Matthew Butcher reviews Owen Jones' "Chavs: The Demonization of the Working Class". One could, at times, be forgiven for forgetting that things were bad before the Conservatives, led by a terrifying combination of Cameron and Osborne, stumbled into power in May 2010. Only once before in my memory, the Spring of 2003, have progressives come together and made their opposition to the country’s direction of travel so clear. The current government’s austerity agenda is not, according to Owen Jones’ engaging first book “Chavs: The Demonization of the Working Class”, out of line with the policy of governments and the actions of the media since 1979. Jones argues, with passion and plenty of statistical ammunition, that the working class in this country have gone from ‘the salt of the earth to the scum of the earth.’ Weaving through the recent history of popular culture, the media, politics and even sport is the uncomfortable fact that working class people in Britain have become increasingly isolated, laughed at and often ignored. Jones manages, without ever coming across as a killjoy, to bring home to (middle class) readers some uncomfortable truths. We, and I speak hesitantly for others of a similar left wing, middle class ilk, react with anger when we encounter racism or, as we like to say, ‘bigotry of any kind’ but we all too often laugh along with jokes made at the expense of Britain’s working class. 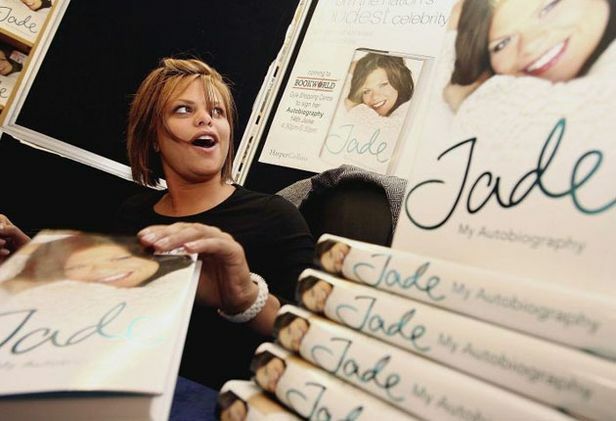 When Jade Goody came onto our screens, an insecure young woman who had suffered tremendously as a child, our liberal sympathies did, as Jones rightly points out, go out of the window. We all laughed along as Little Britain painted our country’s young working class women as perpetually pregnant, vulgar and inordinately lazy. It has become worryingly easy for Britain’s working class millions to be dismissed as the ‘Chavs’ who we laugh at or mock on our television screens. One of the most surprising aspects of the book is the fact that Britain’s working class are not, as many in middle class social circles would like to think, a minority group soon to be engulfed by the middle class majority. Though the number of workers in manufacturing has slid from 7 million in 1979 to 2.5 million today and traditional working class jobs have been systematically destroyed, a larger proportion of people consider themselves working class then they did in 1979. Britain’s job structure, thought by many to be a deciding factor in people’s class identification, seem to back up the assertion that the working class continue to be a majority in the UK: eight million workers have manual jobs while another eight million are clerks, secretaries, sales assistants and in other personal and customer service jobs- that’s well over half the working population and doesn’t even include nurses, train drivers or teachers. As readers reach the final section of the book they might find themselves encountering a proverbial elephant in the room, but Jones doesn’t shy away from addressing the heated and thorny issue of the rise of the far right in Britain’s working class communities. In his penultimate chapter, entitled ‘Backlash’ the author rightly lambasts his own Labour Party, for their unforgivable failure to stand up for the people they exist to represent. Working class representation in parliament and the media mean that issues that are key to working class voters have often been ignored by the so called left and taken up and mixed with poisonous racial politics by the BNP and others. Jones’ analysis, though covering a wide variety of topics is far from superficial. His examples of the lives lived by working class people do, however, tend to be used to reinforce arguments that his likely audience may well already be supportive of. He is quick to defend working class people who have turned to the right but offers little in the way of changing their mind, relying instead on better representation in parliament and the media and on the Labour party to refine it’s policies on housing and welfare. The question that sticks in one’s mind when you read Jones’ book is whether or not it will be read by the “working class” themselves or if it will end up being yet another well informed but ultimately futile contribution by an author ‘born into a middle class family’. One fears that the middle classes, who hold the power in Westminster and the media, won’t give up their privileged position without a fight and that the working class, who are less likely to vote and ostracised as it is, are not currently in a position to seriously challenge the status quo. Ultimately, Jones’ book should serve as both a warning and a call to arms. He believes that the portrayal and treatment of the working class began to go rapidly downhill with Margaret Thatcher and continued to deteriorate under successive governments. The fact is that if we’re not quick on our feet we could just be about to enter a particularly bloody stage of this drawn-out class war. Matthew Butcher is a writer and activist based in London. He blogs at www.segmentpolitics.org.uk and is on Twitter at @matthew1butcher.